The BSGP includes both MS and PhD degrees. This program offers you an exciting opportunity to gain a broad understanding of the biomedical sciences in a spectacular southwestern setting of unsurpassed beauty, rich cultural heritage and geographic diversity. 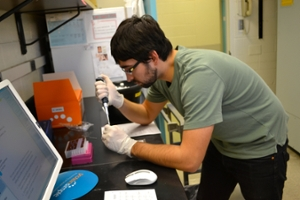 The Biomedical Sciences Graduate Program is an integrated departmental program. It provides students with a broad-based, one-year core curriculum followed by focused course work and thesis/dissertation research. 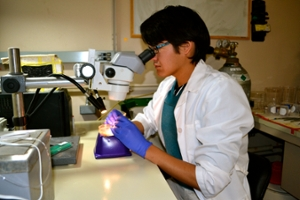 Research is conducted in faculty laboratories in the various basic science departments in the School of Medicine. 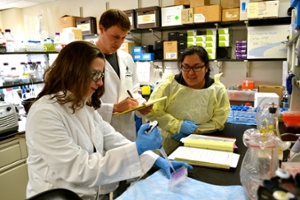 In addition to our School of Medicine faculty, the BSGP is complemented by affiliated faculty in the UNM College of Pharmacy, Lovelace Respiratory Research Institute and Los Alamos National Laboratory who may direct graduate student research. To receive their degree, students fulfill the requirements of the BSGP in one of six Research Areas. Check out The Lobo Life page for a selection of the adventures that await you in and around UNM! Workshops on a variety of topics for graduate students including; Wellness, Reading Skills and Strategies, Financial Literacy, Time Management, and more. Earn a Cancer Biology Concentration and increase your competitive edge as part of the Biomedical Sciences PhD degree program. Trainees will gain focused and individualized training in cancer relevant disciplines. Choose from one of over 50 graduate faculty members constituting the University of New Mexico Comprehensive Cancer Center – a NIH funded P30 Center. Our faculty are extramurally funded and internationally recognized leaders in their fields. Trainees will be partners in making cutting edge technological advances in genomics, imaging, molecular and drug discovery. The complexity of such medical advances also requires culturally sensitive community outreach and integration to assure that the dissemination of these advances will be effective and accepted by patients, caregivers and health care providers. Therefore, the concentration emphasizes interdisciplinary and trans-disciplinary training, and engages trainees in the design of their own career development. The flexible curriculum enables students to choose from a menu of courses that offer training relevant to each of four major research themes –1) Cancer Control and Disparities; 2) Cancer Genetics, Epigenetics and Genomics; 3) Translational Cancer Cell Biology and Signaling; 4) Cancer Biotechnology, Drug Discovery and Targeted Delivery. Professional and development activities afford training in grantwriting, effective communication and presentation skills, entrepreneurship, and more. Trainees have opportunities to attend national conferences, be appointed to training grants, engage in teaching and mentoring others, and will be well prepared to assume jobs in diverse cancer research job sectors. Following successful completion of the Qualifying Exam (as defined by the BSGP), graduate training will mainly focus on laboratory research supervised by the student’s mentor, and supplemented with the following advanced courses. The Concentration in Cardiovascular Physiology is designed to ensure broad training in physiology with major research interests in vascular biology, hypoxia, hypertension, sleep apnea, pulmonary hypertension, heart disease, chronic kidney disease, and stroke. 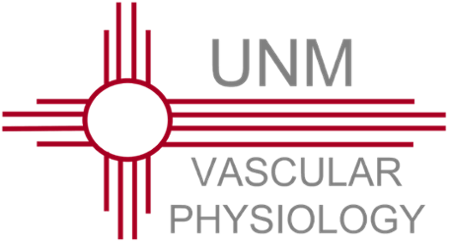 This concentration will provide an individualized program of upper level courses and scientific research within the UNM Vascular Physiology Group. To earn a Concentration in Cardiovascular Physiology graduate students are required to take BIOM 510 - Physiology during the second semester of the first year. The remaining 6 credit hours will be determined based on an individualized training plan for each student from the following options. The Vascular Physiology Group (VPG) was founded by Dr. Benjimen R. Walker. Researchers in this group include faculty members from the Department of Cell Biology and Physiology. All investigators in the group have a track record of national-level extramural support and there is a great deal of collaboration between laboratories. The VPG has a journal club/seminar series and holds weekly joint lab meetings during which ideas are exchanged, data are presented, and planned grant applications are discussed. The VPG holds a NHLBI-funded Cardiovascular Training Grant, and maintains an excellent record of training both graduate students and postdoctoral fellows. As a group, we have the unique ability to approach our investigation from multiple levels including conscious animal hemodynamic analysis, isolated perfused organ, isolated-pressurized small arteries, electrophysiology, molecular imaging, and molecular biology. The primary research focus for faculty members of the Vascular Physiology Group is summarized below with links to faculty web pages. 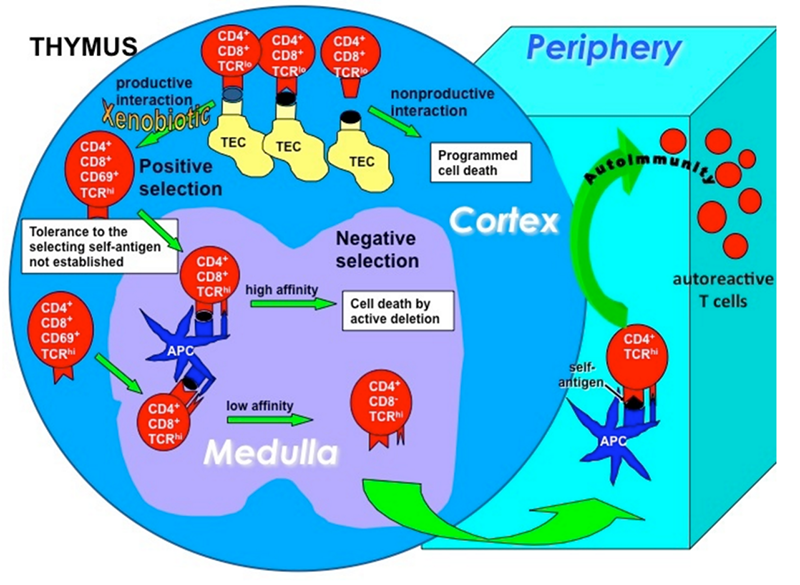 1) Role of the adaptive immune system in chronic hypoxia-induced pulmonary hypertension, 2) Role of smooth muscle NFATc3 in chronic hypoxia-induced pulmonary hypertension, 3) Effectiveness of endothelin antagonists to prevent kidney disease in an animal model of sleep apnea. 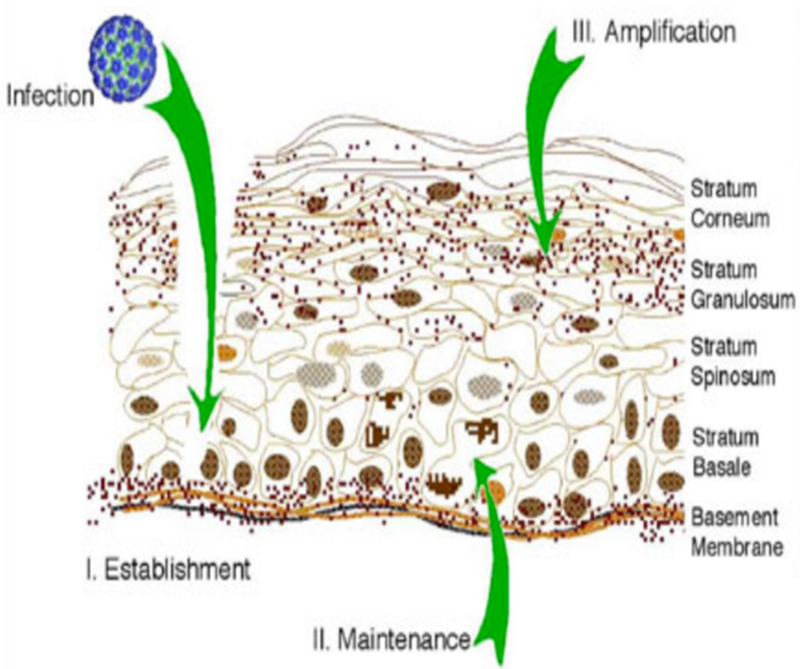 The long term goal of this research program is to understand the physiological and pathophysiological function of acid sensing ion channels in the cardiovascular system. More specifically we are examining the role of these channels in 1) altered pulmonary arterial smooth muscle cell calcium homeostasis in the hypertensive pulmonary circulation, 2) endothelial dysfunction in the systemic circulation in response to ischemic injury, 3) vascular fibrosis, and 4) airway smooth muscle hyperresponsiveness in asthma. 1) Effect of sleep apnea on progression of chronic kidney disease; 2) Hydrogen sulfide in sleep apnea induced hypertension; 3) Effectiveness of endothelin antagonists to prevent kidney disease in an animal model of sleep apnea; 4) Development of a non-invasive screening device for peripheral vascular disease. 1) Membrane cholesterol regulation of vascular ion channels 2) regulation of vascular tone by smooth muscle and endothelial [Ca2+]i events 3) effects of impaired oxygenation (hypoxia) on vascular regulation both in systemic and pulmonary circulations. The Concentration in Infectious Disease and Immunology (IDI) was created to enable BSGP students to receive the PhD in Biomedical Sciences, together with acknowledgement of advanced training in microbial infection, pathogenesis and immunity. It is an individualized program both of formal coursework and scientific research conducted in the laboratory of a faculty member within the Infectious Diseases and Immunity Signature Research Program (participating entities are listed below). The goal is to prepare trainees for careers in research, education, policy-making, etc. in both the public and private sectors. The program involves collaborations of researchers, physicians and businesses, all working together with the aim of increasing our basic knowledge of host-pathogen interactions, the mechanisms of immune-mediated inflammatory diseases, and the epidemiology of disease transmission. Many program participants also seek to apply that knowledge in the development of new vaccines, therapeutics, and diagnostics. 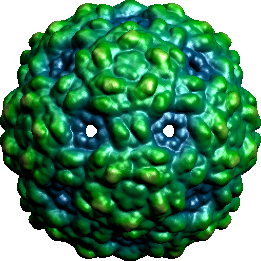 To earn a Concentration in Infectious Disease & Immunology graduate students are required to take BIOM 514 – Immunobiology. The remaining 6 credit hours will be determined based on an individualized training plan for each student from the following options. All students complete the first year BSGP requirements, including the core curriculum and qualifying examination. Following successful completion of the Qualifying Exam (as defined by the BSGP), graduate training will mainly focus on laboratory research supervised by the student’s mentor, and supplemented with the following advanced courses. 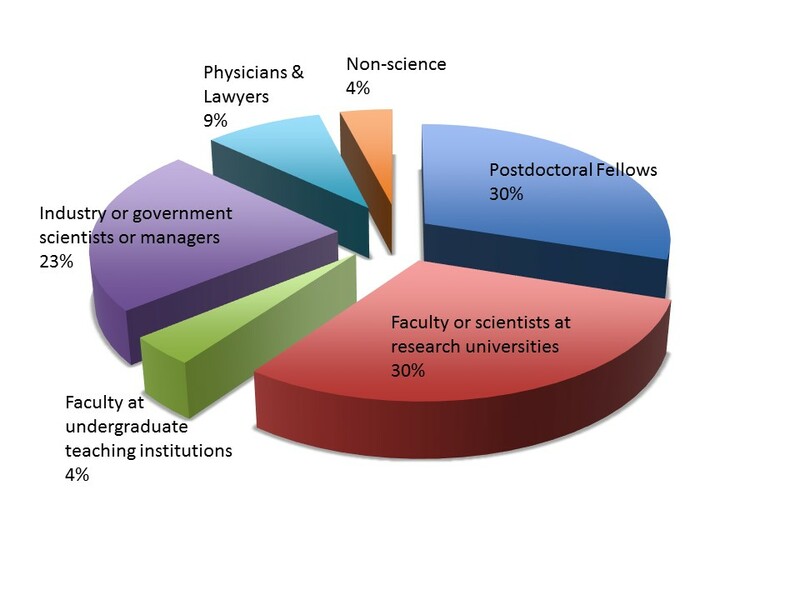 Numerous faculty members in a various departments have active research programs related to IDI, providing abundant opportunities for training in areas as diverse as bacterial, viral, and fungal diseases, cancer immunology, fundamental immunology, autoimmunity, neuro-immunology and immune-related pathogenesis, as well as vaccine technology. A list of participating programs and departments is given below (but see also the CIDI Webpage). Students may affiliate with faculty in UNM’s Center for Infectious Diseases & Immunity (CIDI) Signature program, the Center for Global Health (Department of Internal Medicine), the Division of Infectious Diseases and Immunology (Department of Pediatrics), Microbial Ecology, Microglial Pathogenesis and Microbiology (UNM Department of Biology), the Environmental Health Signature Program (College of Pharmacy) and the Center for Digestive Diseases. Finally, all BSGP students are supported with a stipend, but IDI participants have a competitive advantage in applying for support from the NIH funded Infectious Disease & Inflammation Program (IDIP) Training Grant (T32 mechanism). Recipients of the training grant receive a stipend and a modest budget for supplies and travel, as well as the added distinction of having won a competitive independent fellowship. The Department of Neurosciences has a history of training M.S. and Ph.D. students (please see supplementary information) using requirements that were essentially the same as detailed below for the proposed concentration. To earn a Concentration in Neuroscience graduate students are required to take BIOM 509 – Principles of Neurobiology. The remaining 6 credit hours will be determined based on an individualized training plan for each student from the following options. The concentration in Pharmaceutical Sciences conforms to the basic requirements of the BSGP degree programs. Students in this concentration will conduct research studies under the mentorship of a faculty member, or an affiliated faculty member, of the Department of Pharmaceutical Sciences, an academic department of the University of New Mexico College of Pharmacy. The department is dedicated to the advancement of knowledge and understanding of pharmacology, toxicology, and the pharmaceutical sciences and to the comprehensive education and training of students in the pharmaceutical sciences. In recognition of the need for greater interdisciplinary and transdisciplinary graduate training, the Pharmaceutical Sciences concentration has been developed to allow students to articulate individualized training goals and plans for targeted career development. The flexible curriculum will enable students to conduct investigations in the fundamental areas of pharmaceutical sciences, focusing on two main areas of study; 1) Pharmaceutics and 2) Pharmacology/Toxicology. The concentration is designed to offer required and elective courses as well as professional career development that is relevant to all programs, yet with sufficient flexibility to enable trainees to focus on selected areas of interest. To earn a Concentration in Pharmaceutical Sciences graduate students are required to take PHRM 576 - Molecular and Cellular Pharmacology. The remaining 6 credit hours will be determined based on an individualized training plan for each student from the following options. Other graduate courses relevant to the student's area of study recommended by the Committee on Studies. The Biomedical Sciences Graduate Program, in partnership with UNM’s Anderson School of Management, is pleased to offer the Science and Technology Management Program (STMP). Our goal is to prepare students for jobs in industry, government, non-profits, etc., without compromising our commitment to the intensive laboratory training normally expected of every recipient of the Biomedical Sciences PhD degree. The employment landscape in the sciences has undergone dramatic change in recent decades. No longer restricted to faculty positions in research universities, today’s graduate encounters abundant opportunities outside the conventional boundaries of academic science. The intellectual and experimental skills of traditional PhD training are still essential, of course, but it is now widely understood that management and business skills enhance a trainee’s preparation for the jobs of today, whether in or outside academia. Students may enroll in STMP studies after successful completion of BSGP’s first year core curriculum. For more information, or to enroll in STMP, contact Biomedical Research Education Program at BREP@salud.unm.edu. The BSGP core curriculum and usual elective science courses. At the University of New Mexico your options are open! Research mentors are also found within the UNM School of Medicine Clinical Departments, UNM Biology Department and at affiliated research sites including Lovelace Respiratory Research Institute and Los Alamos National Laboratories. Many interdepartmental and multidisciplinary opportunities are represented in research centers and training programs at UNM. Specific pre-doctoral training programs include the Infectious Diseases & Inflammation Program (IDIP), the Cardiovascular Physiology Training Program, and Alcohol Research Training in Neurosciences. From infectious disease and Neurosciences to molecular genetics and cancer biology, the University of New Mexico's Biomedical Research students are making significant scientific contributions. Financial support packages are provided by the BSGP to incoming PhD students during the first academic year of the program. At the end of the first academic year, beginning June 1, PhD students are funded by their dissertation advisor (mentor), and/or training grants, and/or the advisor’s department. Note: Eligibility to receive financial support throughout the program is contingent on the student remaining in good academic standing by BSGP and UNM Office of Graduate Studies standards. Good academic standing includes earning passing grades in all academic coursework and maintaining progress towards the research component of the program. The BSGP is an intensive research-based PhD program; therefore, students who fail to identify a research mentor and secure funding beyond the first academic year of the program will be unable to continue in the BSGP. The program provides guidance and a variety of opportunities during the first academic year of the program for students to successfully identify research mentors. However, the task of finding a long-term fit within a research lab is the personal responsibility of each individual student. The Department of Neurosciences has been awarded an Institutional Research Training Grant designed to provide students with a broad base in neurobiological concepts related to alcohol abuse and alcoholism. The program provides full financial support, including student stipend, tuition, and travel. For more information visit their website or email Dr. Fernando Valenzuela. The NSF-funded IGERT programs seek to train PhD scientists and engineers with the interdisciplinary background and the technical, professional and personal skills needed to address the global questions of the future. Stipends of approximately $30,000 are provided. 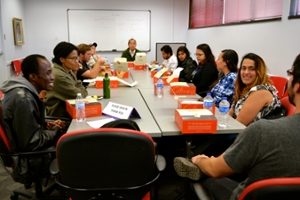 The Initiatives to Maximize Student Diversity (UNM-IMSD, formerly MBRS) Program was to correct the under representation of minorities (specifically African American, Native American and Hispanic U.S. Citizens) at the PhD level in biomedical sciences. Funds provide graduate support, research-related courses, travel to professional meetings, and research materials. The Cardiovascular Research and Training Program (CRTP) provides exceptional pre-and post-doctoral trainees a broad, multidisciplinary background in cardiovascular and pulmonary research with integration between basic and clinical sciences. This NIH training grant provides funds for tuition, stipends, travel to meetings, insurance and other education-related expenses. The New Mexico Cancer Nanoscience and Microsystems Training Center (CNTC) , one of the 6 training centers funded by the NCI Alliance for Nanotechnology, supports education and research to accelerate the translation of discoveries in nanotechnology to improved cancer diagnosis and treatment. For more information visit: cntc.unm.edu. 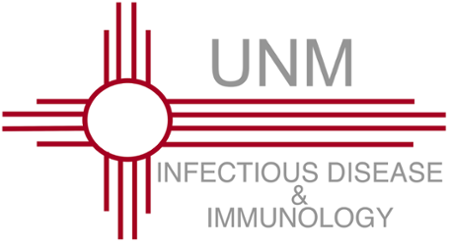 The New Mexico Spatiotemporal Modeling Center, one of the 12 NIH-funded National Centers for System Biology , offers fellowships for graduate student research that integrates biological measurement, new technology and computational ANALYSIS for a better understanding of the spatial and temporal regulation of signaling pathways important in immune diseases and cancer. The student demonstrates abilities as a problem solver and critical and independent thinker. The student displays mastery of an appropriate breadth and depth of knowledge. The student is effective at both oral and written communication. The student is a competent and skilled experimentalist who is able to collect, organize, evaluate, and interpret data. The student demonstrates responsible conduct of research and ethical behavior. The student works effectively with others in a collegial manner. MS students may take up to two years to complete the core courses. MS students rotate through a minimum of two laboratories during their first year. They are not required to take the PhD Qualifying Examination unless they wish to be considered for the PhD program. After completion of the core curriculum, students are required to enroll in divisional seminars each semester until graduation. First-year MS students are not eligible for stipend or tuition support by the BSGP, although many find funding in their second year. By the beginning of the second year, students choose a thesis advisor and form a Committee on Studies. The Committee outlines any additional divisional course requirements relevant to the specific area of interest. The MS student is expected to present a minimum of one seminar during the second year, in addition to their thesis defense. Students must complete an original and creative research project as well as write and defend their thesis. Most students complete their MS degrees within 2-3 years. Financial support packages are provided by the program for the first 10 months and are offered to all highly qualified, first-year PhD students. Students receive an annual stipend of $25,000, payment of student health insurance premiums, and remission of tuition and GPSA fees. Additionally, students are responsible for the payment of certain student fees, including the Health Sciences Center library fee. International students will also be responsible for a one-time UNM Global Education Office fee of $125.00 (subject to change). During the first academic year, all students share a one-year core curriculum. Additionally, students complete three separate Research Rotations to get experience and exposure to the various research areas available at the UNM Health Sciences Center. The funding for PhD students is provided through the end of the first academic year (May 31) by the BSGP. During the first year, students identify a research mentor who will assume the financial responsibility starting June 1 and provide the resources necessary for the student to conduct their dissertation research. Students are funded by their research mentor (advisor), and/or training grants, and/or the research mentor’s department. 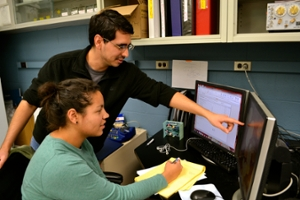 Students are responsible for identifying a research mentor prior to end of the first academic year in order to continue to progress in the program. The program provides guidance and a variety of opportunities during the first academic year of the program for students to successfully identify research mentors. At the end of the first year, PhD students choose a research advisor, declare an area of specialization, and take and pass a qualifying exam so that they may advance to candidacy. Students also choose a faculty Committee on Studies to help guide them through their thesis/dissertation research. In their third or fourth year, all students must successfully complete a comprehensive examination which is administered by their Committee on Studies. The next generation of experimental biomedical scientists must be equipped to work productively and in teams with mathematical, computational and physical scientists and engineers in order to answer critical biological questions in the 21st century. There are different interdisciplinary opportunities for BSGP students beginning in their second year. In subsequent years, students complete advanced coursework and laboratory research in preparation for completing their PhD dissertation. Most students complete their PhD degrees within 4-6 years. Employment outcomes for BSGP PhD graduates as of summer 2015.